In 1995, Mel Tiangco appeared in a commercial that caused problems with her then home network, ABS-CBN. 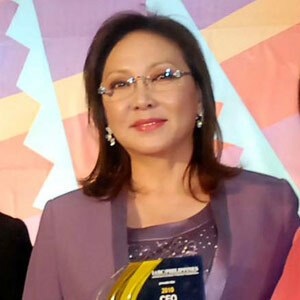 This 2011, the Supreme Court upheld a past court decision indicating that Mel had a valid reason for rescinding her contract with the Kapamilya network. "The Supreme Court has recently denied the appeal of ABS-CBN from the decision of the Court of Appeals (CA) which affirmed the decision of the Regional Trial Court (RTC) of Quezon City that ruled that Mel Tiangco "Mel" and Jay Sonza "Jay" have justifiably and validly rescinded their agreements with ABS-CBN Broadcasting Corporation (ABS-CBN) and that GMA-7, to which the two talents transferred, had nothing to do with the parting of Mel and Jay from ABS-CBN. "There was no evidence that GMA had enticed Mel and Jay to break away from ABS-CBN because when the two transferred to GMA, they have already rescinded their agreements with ABS-CBN. "Mel and Jay used to host the ABS-CBN’s Sunday TV show Mel & Jay. Mel was faulted by ABS-CBN for appearing on a Tide commercial in violation of a circular, which prohibits talents in its radio and news and current affairs from appearing in commercial advertisements without prior written approval of ABS-CBN. Mel Tiangco was suspended without pay from her co-anchor position in TV Patrol and Mel & Jay radio program for three months but not from her Sunday TV program Mel & Jay. Jay irrevocably resigned from Mel & Jay while Mel went on an indefinite leave from further taping of the show. "ABS-CBN sued Mel and Jay for specific performance, injunction and damages before the Regional Trial Court in Quezon City in 1996 to compel them to perform their 1994 agreements and not to appear in any other TV or radio station until 1997. "The QC RTC decided on June 26, 1998 that Mel and Jay had a valid cause to rescind its agreement with ABS-CBN, and that GMA had no part in the broken relationship between the two (2) and ABS-CBN. "ABS-CBN appealed to the CA which affirmed the decision of the RTC. In its decision of August 6, 2003, the CA held that there is no evidence which proved that Mel Tiangco violated the prohibition when she appeared on the Tide commercial. The suspension by ABS-CBN of Mel without sufficient basis in law and evidence constitutes a breach of the contract by ABS-CBN which is substantial and grievous, and justifies the unilateral action by Mel Tiangco in resolving the contract. ABS-CBN had protested that Jay may not base his rescission on that of Mel, but the CA considered the fact that Jay is redundant without Mel, much like the proverbial bow and arrow. "ABS-CBN questioned the CA’s decision before the Supreme Court but the latter denied the appeal of ABS-CBN for failure to sufficiently show any reversible error in the decision of the Court of Appeals."